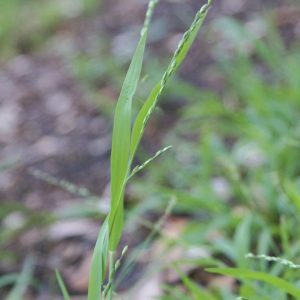 An aggressive, perennial grass almost constantly in seed, Ehrharta spreads rapidly excluding many small native ground cover species. Similar Native Species: Weeping Meadow Grass (Microlaena stipoides). 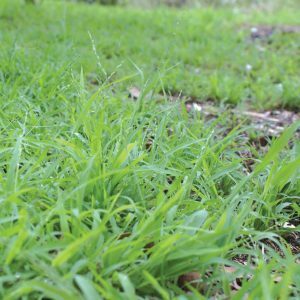 Habit: Vigorous, shade-tolerant, rhizomatous and loosely tufted perennial grass, that will out-compete native ground covers in nearly all soil conditions. 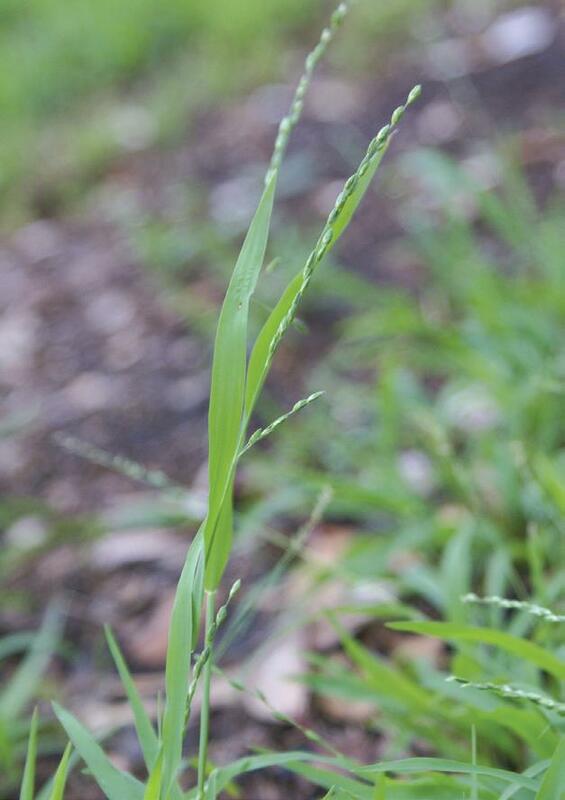 Leaves: Bright green, flat leaf blade with soft hairs on surface, to 5-20 cm long, 2-10mm wide, Stems rounded, prominent mid-vein on the underside of leaf.perennial grass, that will out-compete native ground covers in nearly all soil conditions. Flowers: Inflorescences borne on stems, 10-80cm long and grow at any time during the year. The stem can be upright or curved, often branched near the base and sometimes tinged red. Fruit: Profuse and rapid production of 3mm long and oval-shaped, shiny seeds. They range from immature green to a bleached, dry appearance. Seeding occurs every 6 weeks and viability approaches 100%. Roots: Relatively weak and fibrous, easily removed by hand. Dispersal: Seed spread by water, animals (mainly birds), humans, contaminated soil (earthmoving equipment, car tyres etc) and garden refuse dumping. Control: Hand pull/dig, bag all seed heads. Foliar spray.